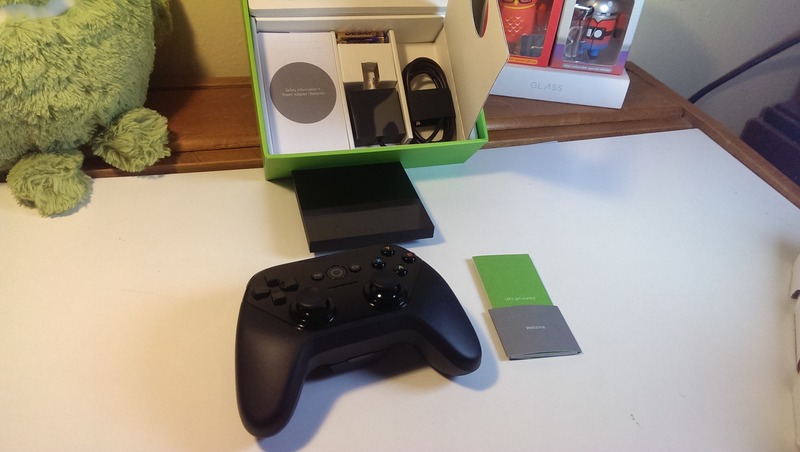 Google announced a brand-new version of its Android TV developer hardware platform at I/O today. The ADT-2, sequel to the ADT-1, is being given out to attendees of the conference in Mountain View (they'll ship at a later date). 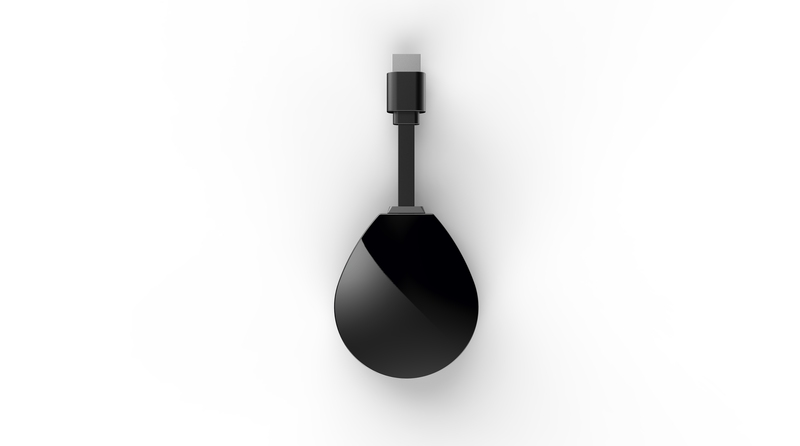 The ADT-2 takes on a Chromecast-like dongle form factor, and was first outed in an FCC certification listing around a month ago. The ADT-2 will not be sold to consumers. Speaking to Googlers on the Android TV team in a briefing ahead of the show, we learned that the ADT-2 is intended to provide developers a "typical" Android TV experience in terms of hardware capability. So a few XDA members were tired of seeing the ADT-1 get shunned from OTA updates and decided to take care of the situation. 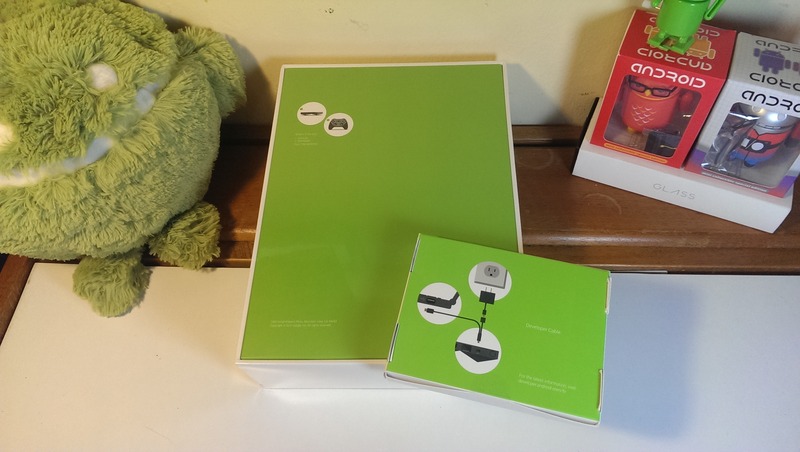 There are only a few people who have the original ADT-1 Android TV device - those who attended Google I/O 2014, or those who got lucky on eBay and bought one of them from attendees. That being said, the owners of the Tegra-powered set-top box are probably among the most dedicated of Android fans, being either developers willing to travel to Google's extremely limited and expensive conference or regular users willing to spend a ton of money on the aftermarket for a pre-release device. Those people now have an easier method of flashing custom ROMs and other modifications to the ADT-1. 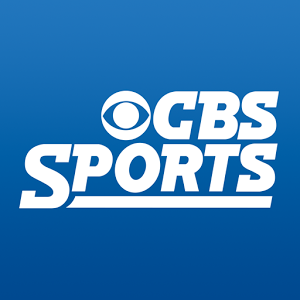 The official CBS Sports app has been updated to work with Android TV devices. What, you want more? That's all there is to this story. OK, it's also been updated with non-specific improvements for the upcoming Masters golf tournament, plus a few bug fixes. Um... it's now on version 8.2.2. And here's a screenshot from my phone, because I don't have an Android TV box yet and CBS didn't include a shot of the TV interface anywhere. Just imagine this, but 50 inches bigger. On second thought, there might be a reason for that. 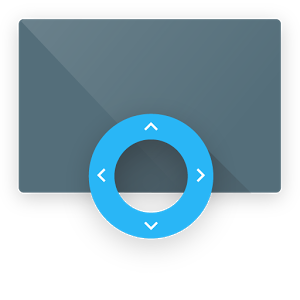 The app is incompatible with the original ADT-1 Android TV developer device. 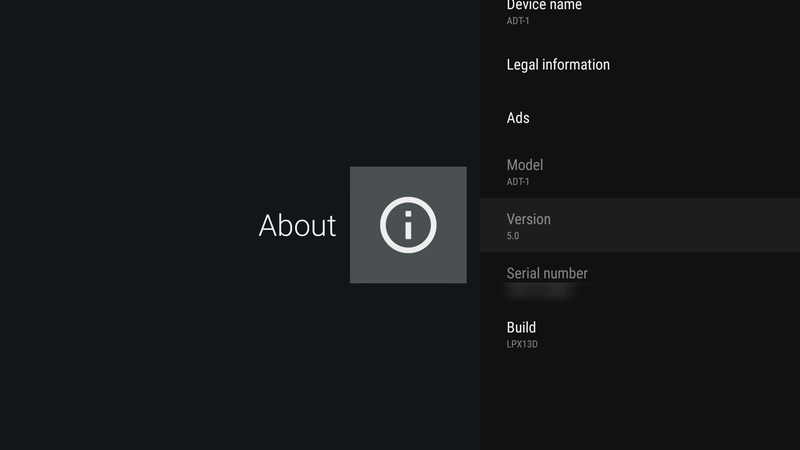 If you went to Google I/O 2014, you probably treasure the ADT-1, the first Android TV set-top box that was never made available for retail purchase. It's also the first Android TV device to be updated to version 5.0.2... out of an admittedly limited field at the moment. LRX22G contains a few small changes to the core of the system for a few easy performance improvements, but nothing dramatic, so don't sweat it if you aren't part of the initial OTA rollout. If you just can't wait, here's the OTA ZIP file - you'll need an unmodified ADT-1 and a PC to flash the file with via the ADB interface. When Android runs on a TV, it's still Android, there are just a few checks in place to make sure users aren't installing unprepared phone apps to their big screens all willy-nilly, creating the kind of awful UI experience that could make a techie cry and any one else scrunch their face in confusion. In a way, Google's only trying to protect us from ourselves. Most TV viewers will want nothing to do with such shenanigans, so only apps that have been updated and declared compatible with Android TV work with the platform out of the box. But this is Android, so it's possible to get around this restriction. 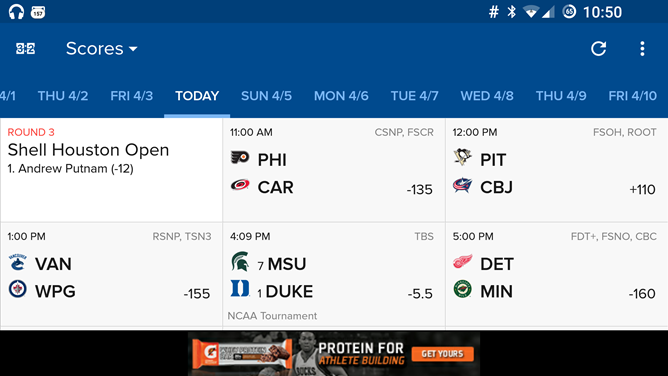 Just like the new version of Google Play Movies & TV, the Google Play Games app sourced from the recent ADT-1 Android TV device update works fine on recent phones and tablets. There doesn't appear to be any huge functionality improvement in this release, it's merely a shiny new coat of paint. That being the case, it might be best to wait for the official phone/tablet update. If you don't want to wait that long, then have at it with the update below. In addition to a swanky new icon, the interface for the entire app has been re-skinned with Material Design guidelines. If you've spent any time in Google's ecosystem of hardware and software, you're no stranger to impatiently waiting to receive a firmware update. Hey, we've all been there. While we know the ADT-1 is set to receive an OTA to Android 5.0, it seems Google is still holding back a full rollout despite the very small number of units in circulation. 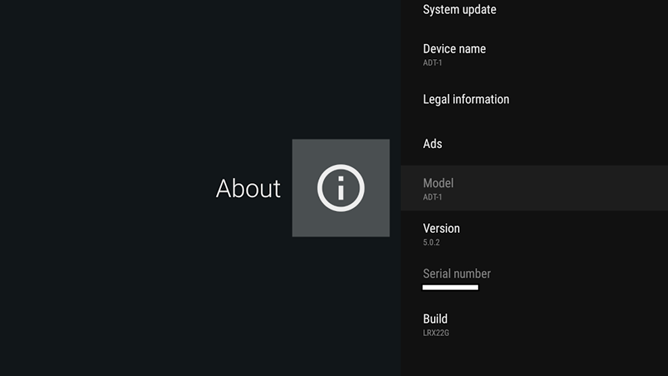 If you don't feel like waiting for your number to come up, it's possible to sideload the update manually onto your ADT-1 and take advantage of everything it has to offer. 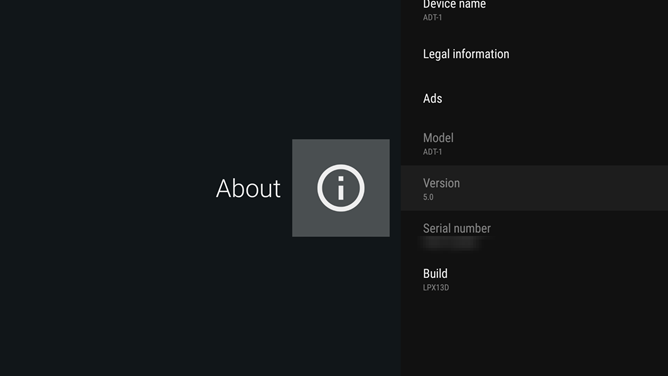 Manually updating the ADT-1 is a lot like sideloading any official update, but there are a couple of details that aren't exactly intuitive. 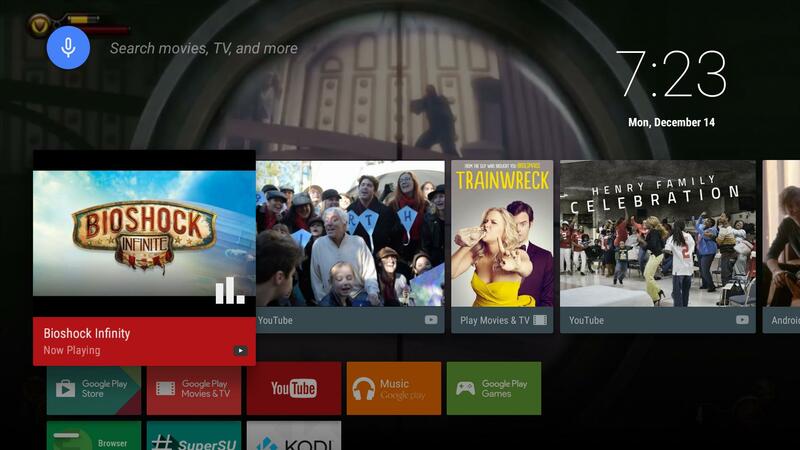 Update: Because there is apparent confusion about this, Nexus TV is not Android TV. 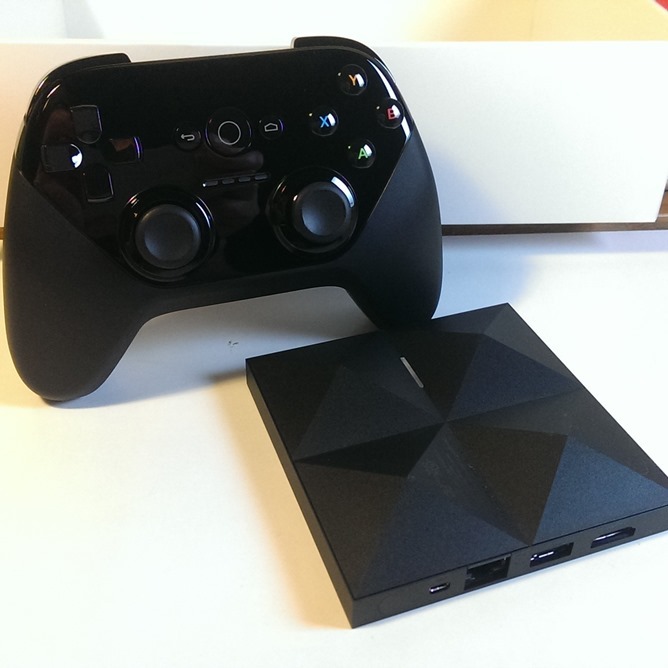 Nexus TV, a cancelled project which is now known as ADT-1, is hardware. Android TV is software. Nexus TV would have run Android TV, as the ADT-1 does. Android TV is not directly implicated in this news, but it is obviously relevant. This is about a hardware team at Google - not a software one. It's always interesting to hear internal Google gossip, and The Information's got a couple of tidbits this morning that are worth looking over. Specifically, they relate to [email protected] and the ADT-1 Android TV developer reference platform. Google's announcement of Android TV made it clear that a final product wasn't ready for store shelves, but it was certainly getting close. While Google is finishing up the software and hardware for an official release later this year, developers have been invited to begin work on their own apps. For most, that means firing up an emulator to test on, but a few have also been granted access to a preview device called ADT-1. Applications for the hardware opened up shortly after the Android TV talk at I/O, and now devices have started appearing for some lucky developers. The initial batch of ADT-1 units went to Google partners like Netflix and Hulu in preparation for the I/O announcement, and a second wave was handed out to a small group of I/O attendees.